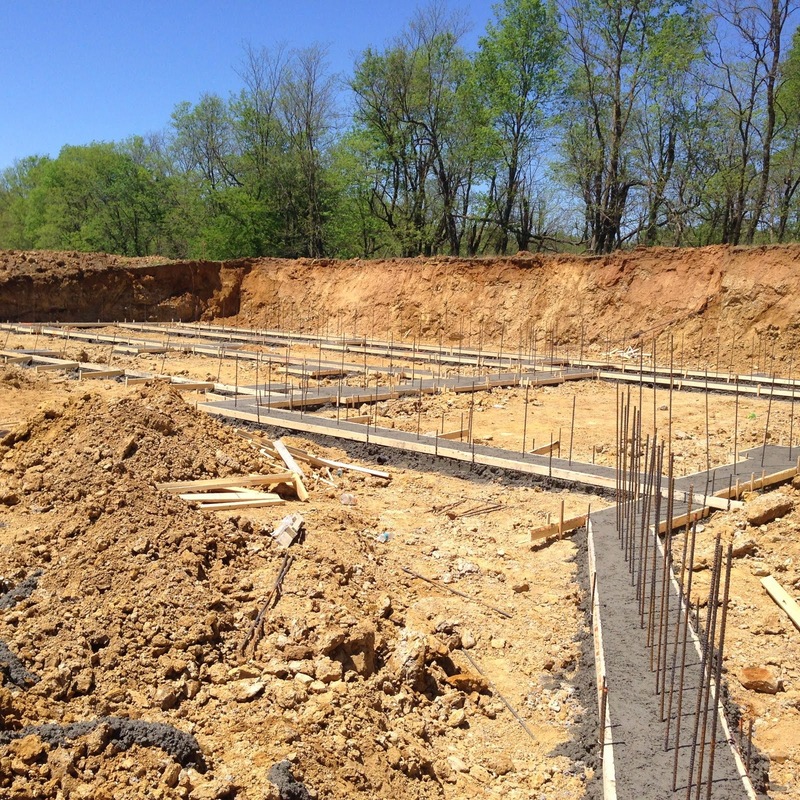 Building Beyeler Hollow: Day 33: Footings are In! 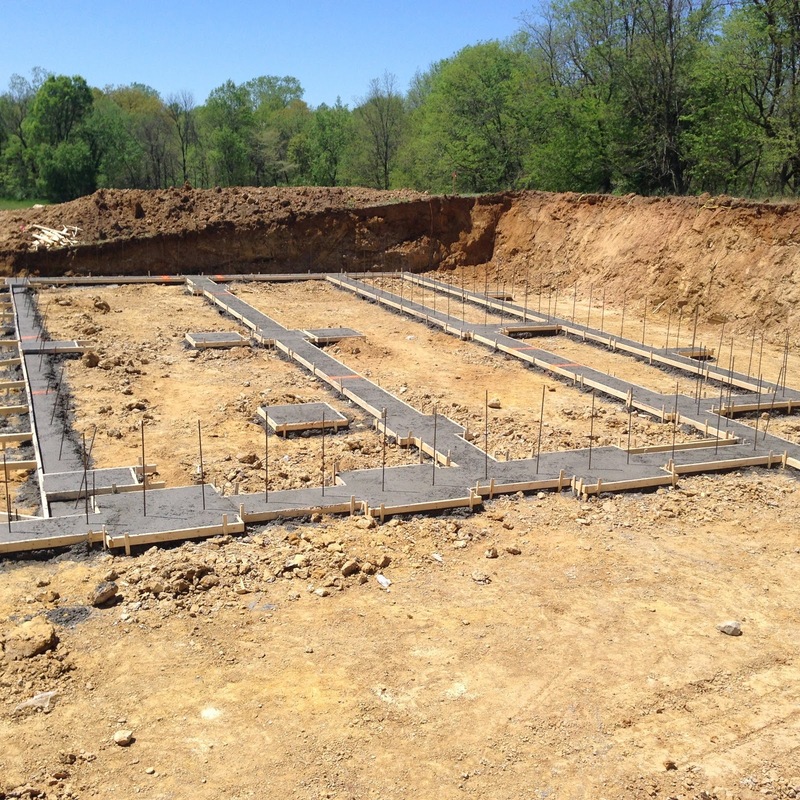 On Friday, the footings were poured. We had a great day of weather and the concrete trucks were able to get up there and get to pouring. Unfortunately, it was in the middle of the day so I don't have any "during" pictures, but I did get some "after" shots later Friday evening. We're really excited to get the footings in. 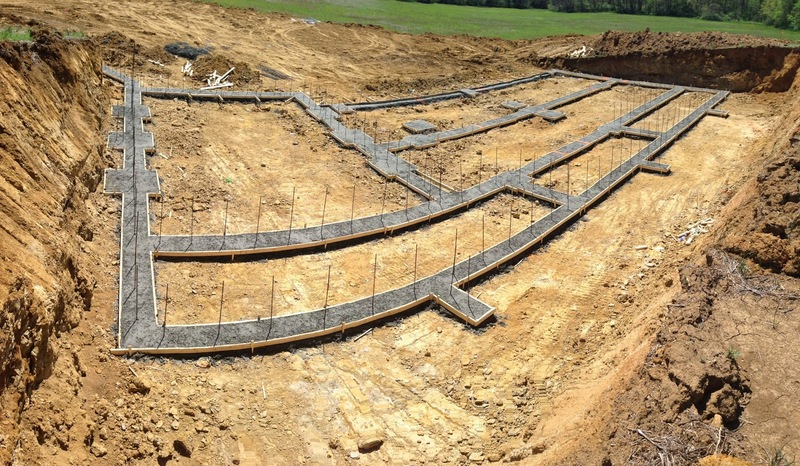 Weather looks good for next week, and we should be getting the basement walls formed and poured. The picture below shows the entire basement. Don't worry, it's not that curvy. Or curvy at all. It's the panoramic shot from my camera that warps it. Starting from top left and working clockwise, the rooms are: suspended garage, family room, exercise room, guest room and bath, safe room 1, mechanical room, safe room 2 (because you can never be too safe). The pictures below show the rebar shooting up through the footings ready for the basement walls. The angled wall in the picture below is a retaining wall, which will be just south of the garage poured driveway slab. This shot is taken from inside the lower level of the suspended garage, looking west. 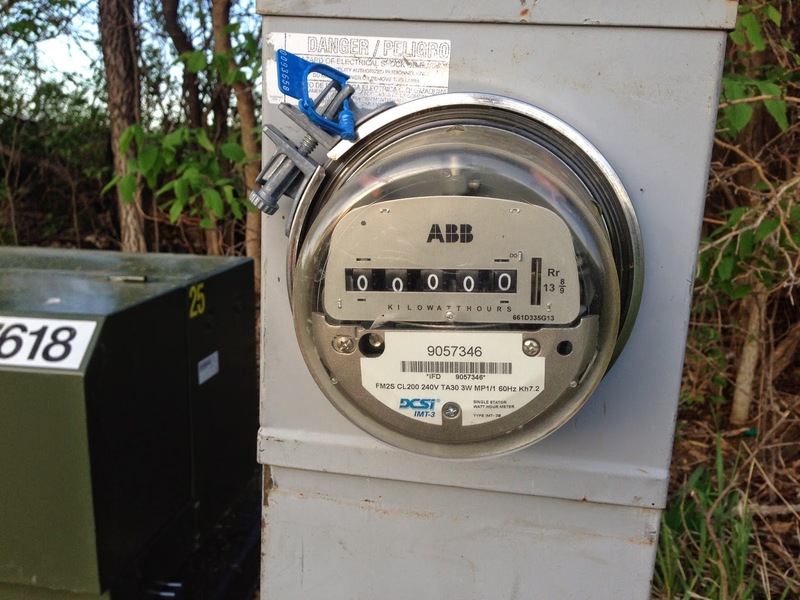 We also have our electric meter in place. It's fun to see it reading 00000. If only it'd stay the way forever. 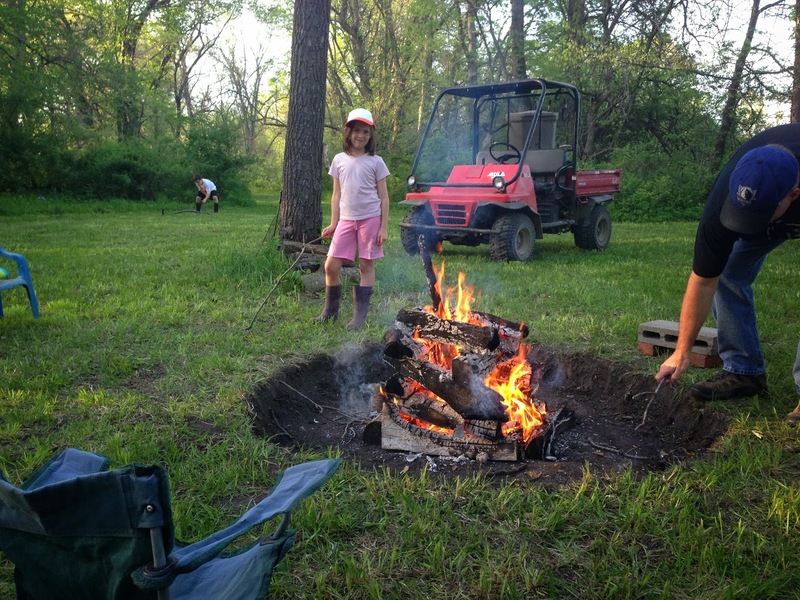 Friday night we had a campout on the land with Tom and Dan and his boys. 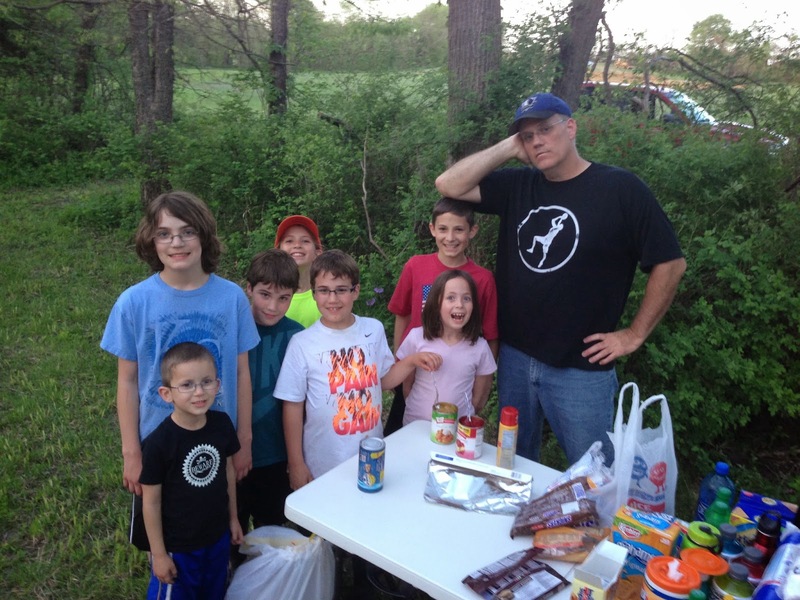 It was the first campout on the land, though we've had several cookouts. Tom did his share by improving our firepit.